How do I know it is God’s voice speaking to me? Is it consistent with God’s character? Does this seem like something God would say to me? Is it being confirmed through messages I’m hearing at church or studying in my quiet time? Would what I’m hearing please God? I had to share this with you today. So many of us struggle with hearing God’s voice and I think Lysa puts it beautifully and simple. I have to add that spending time daily with God will make that voice even more clear. When I felt God nudging my family to downsize into a smaller home, I sat on it for months. After all, I had heard it from a speaker at a Christian conference that I had attended with my teenage daughter. Somehow throughout his talk, I could hear God’s little nudge on my heart. Who in the world was going to believe me when I tell them what I THINK God is asking me to do? We have a beautiful house, with a gorgeous pool (that we put in) and rooms for guests to be comfortable when they stay. We live minutes from my sisters and 7 doors down from my mom. Why on earth would God be asking us to change this? After returning home, I mentioned this to Pete and I could see his surprise. His response was a little less than supportive. So I sat on it some more. Throughout the next few months, our church offered the sale of a book entitled, “The Price of Privilege” by Madeline Levine, PHD. Unbeknownst to me, Pete had purchased a copy of the book. Keep this all in the back of your mind. We had several sermons at church regarding materialism in the world today. To top it all off, God just kept pushing me toward the “things” around me and reminding me that “things” don’t make us happy: He does. After finishing the book, Pete came to me and said he was ready. He was ready to start looking at homes. So, I picked up that book and read it. Mostly, because I wanted to know what changed his mind. The book was about middle class and wealthy parents teaching their kids entitlement instead of autonomy. It stressed that these families are handing all the “things” of the world to their kids, and never teaching their kids how to work for these items. Madeline Levine uses her own therapy practice to show proof of this. She describes children that search out fulfillment in drugs, alcohol, food and spending money on things. It was sad and depressing to read. I recognized the importance of teaching fulfillment through God, not “things.” It was very powerful. I could see why Pete recognized what I was saying might be a good plan. During the months that we searched for a smaller home with a little more land, we kept coming up empty handed. Nothing really seemed right for our family of 5. Then one day, my niece invited us over for a cookout at her in-laws home. My niece was visiting from North Carolina and wanted to get the whole family together. I will go on to say that my niece’s in-laws were no strangers to us. We had known them for many years, but had never gone to their house before. We pulled up to this beautiful 1950’s ranch with a barn at the side of the gravel drive. As we entered the small home, it was filled with obvious love and care. The entry opened up to a picture window which looked out onto their 8 acres of beautiful woods with a crooked little creek running throughout the property. As Amy (my niece’s mother-in-law) gave us a tour, she beamed with joy of many years on the property. She knew every tree and hill in the backyard. It had been a great 20 years that they had spent in the house. They too 20 years before had downsized to this little 1950’s ranch with their three boys. Sound familiar? Almost a little eerie, right? So eight months to the day of getting the tour of that perfect 1950’s ranch, we purchased it from my niece’s in-laws. We knew it was perfect for our family. God spoke clearly to us over several months. He reiterated His words through scripture, through people, and through countless nudges. It was out of our comfort zone, but somehow we knew it was right. Don’t let God’s voice go unheard in your life. Use Lysa’s 5 questions to ensure it is God, and then take the first step: heed His word and follow Him. John 10:27 My sheep hear my voice; I know them and they follow me. This entry was posted in Faith, Family, God, Jesus, Religion, Social Justice, Uncategorized, Women and Christianity and tagged Answering God's call, Faith, listening to God, sheep, shepherd, trust. Bookmark the permalink. Just catching up on your blog, now! What a great story!! I love this. Such a great story, and also something God has placed on my heart. I am waiting for confirmations and mostly my husband to also be on board! Thank you for sharing! Prayers for you Melissa that you will keep listening and let God take over in His perfect time. As I am sure you know, there is so much more to my story, but God saw a way to show me that “things” do not make me a better person – He does. Great post! I appreciate you sharing your story of radical obedience and blessings during a #SayWhat time. 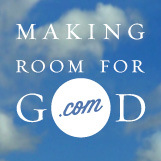 I love that your blog is about making room for God, and He asked you to downsize. So like Him. Thank you for sharing. We are praying about being moved closer to our church and church friends. I will pray for you Colleen that you will hear God’s call clearly. I don’t know about you, but I have always needed God to use a sledgehammer – so I appreciated his nudges this time around. I love how God spoke the same thing to both of you separately because with God there is always unity. I love how God has a plan for everything in our lives and He knows right when we need the nudging. Thanks for sharing your story. Wow, great post Anne – only one question – what happened to your niece’s in-laws? Thanks for visiting my post. I will keep my ears and heart open so I can #SayWhat? My niece’s in-laws were thinking of selling for a while, but couldn’t quite get the motivation to pack up 20 years worth of memories. When they saw how excited we were, the motivation came,and they moved down the street into a no-maintenance villa! LOVE this story! Isn’t it amazing how when God speaks, somehow everything WILL fall into place once we listen? Sometimes God seems to speak to either me or to my husband about something, and we’re not always on the same page. BUT when it is from God, He guides the other one to His plan, too! May He continue to bless you and your family and your wonderful home!